Here you'll find some great deals on all of our overstocked items. 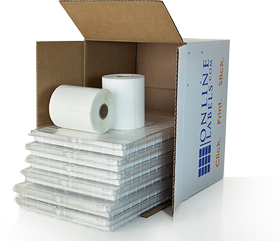 We carry the largest selection of ready-to-ship blank labels in the world, which also means we maintain the largest inventory. Unfortunately, there just isn't always enough space. Consider this your last chance to find some top-quality labels at significantly discounted prices! Make sure to click here to update the list below. Here you'll find some fantastic deals on products that may be slightly imperfect or off-quality. Either way, they fall short of our typical quality standards, but could be just what you need for your project at unbelievable prices!